The aftermath of Hurricane Irma has been a rollercoaster. We have bounced through feelings of fear, relief, uncertainty, hope and joy. We’re not alone. Some parts of nature have also experienced ups and downs on the road back to normal. The first new leaves bring hope. Some of these bumpy roads have been easy to notice. The time of many flies arrived a few weeks after Irma and then ended gradually. The explosion of new vegetation began right after the storm, but has started to slow as rainfall becomes less frequent. 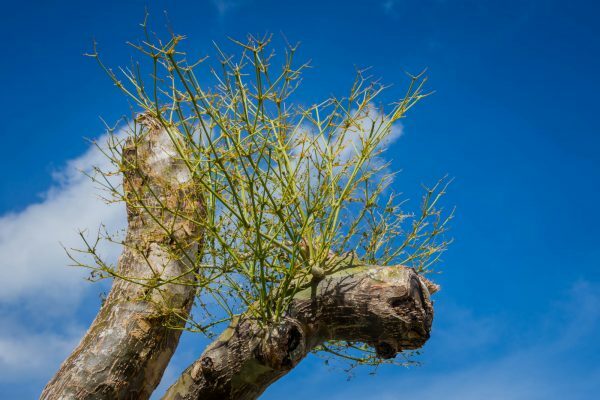 Today, you may see trees that recovered from Irma are bare again. Flamboyants, Gaïacs and Jamaican Capers are being devoured by caterpillars. 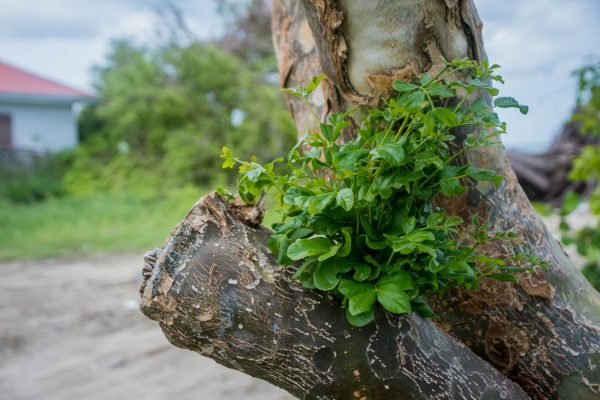 After being inspired by the recovery of the island’s plants, this can be sad for us to see. But it is also part of the recovery process. Our local natural systems move towards balance. Hundreds of plants and animals each have their place in the landscape. But that balance isn’t constant, only the movement towards it. It happens every year as wet season passes into dry season and in a thousand smaller ways. After a major event like a hurricane, the balance is disrupted. Suddenly stripped of all their leaves but well watered by the rain, plants grew back like crazy. It is no surprise that an explosion of leaves would be followed by an explosion of caterpillars. 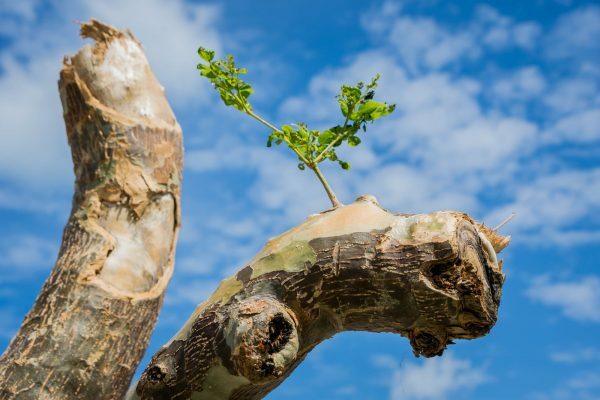 New growth is eaten completely, but it will come back. 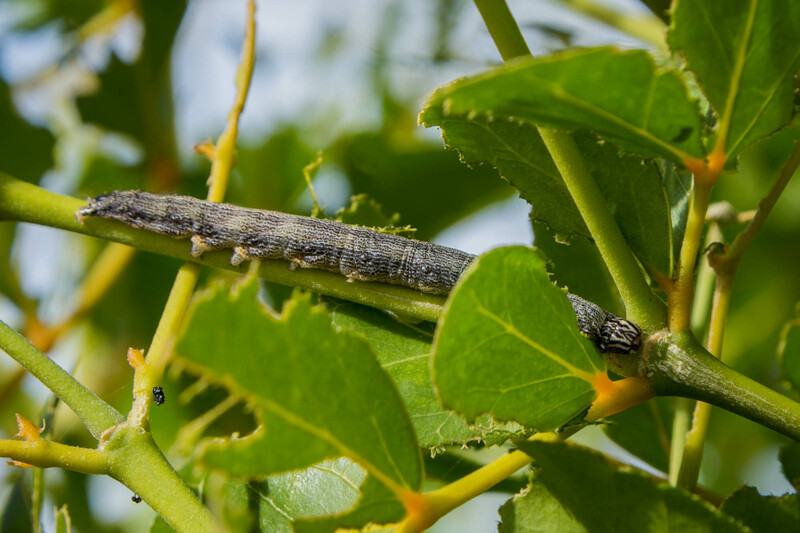 As much as we are trained to see caterpillars as pests, they are important, too. They keep vegetation in check by eating it. They provide food for birds, lizards, insects and spiders. For a moment, it may seem like we have too many, but today’s caterpillar boom is just another bump on the road back to balance. Gradually a balance is struck.